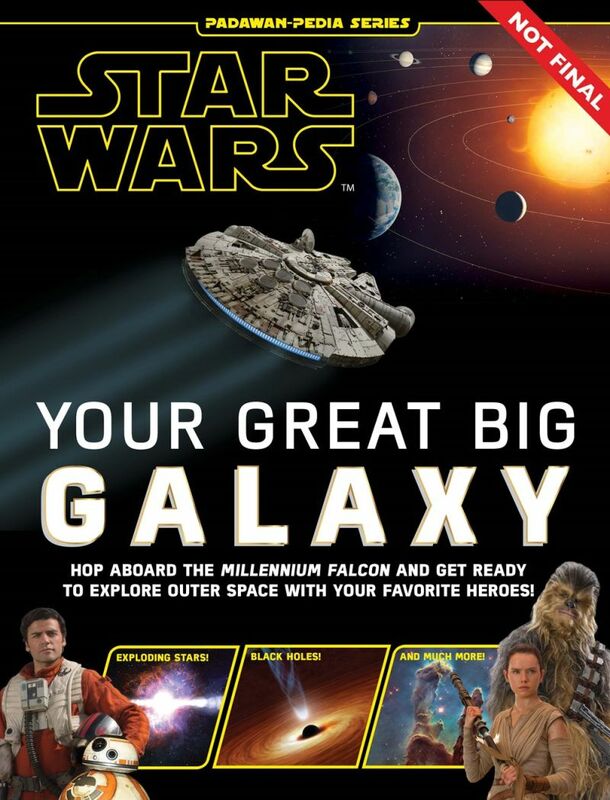 Hop aboard the Millennium Falcon and get ready to explore outer space with your favorite Heroes! Explore The Milky Way aboard the Millennium Falcon with Rey, Han, Chewy, and Finn. Learn about Black Holes, Exploding Stars and the Pillars of Creation. Star Wars characters take the reader on a tour of the galaxy, combining fictional characters, with facts about the solar system, space travel and stars. This is a part of the Padawan-Pedia book series, a new Star Wars branded line of books for kids ages 6 to 9, geared towards tying fictional characters with non-fiction facts. This book is both educational and fun and encourages kids to learn more about the universe.